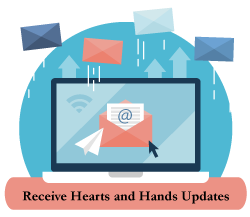 Our Hearts and Hands Board of Directors can be found in our Board of Directors section. Our most recent annual report can be viewed in our Annual Report section. Our most current quarterly newsletter can be viewed in our Newsletter section.